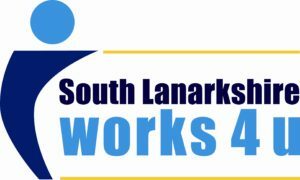 The Inclusiveness Project at South Lanarkshire College delivers FREE employment-focused vocational training courses in South Lanarkshire College and in outreach centres for South Lanarkshire residents who are unemployed and looking for work. To date, many people have benefitted from the project thanks to a wide network of agencies working in partnership to support and progress participants into the world of work. Whether you are looking to brush up your skills, thinking of changing direction and need accredited qualifications, or if you’re completely starting your career from scratch, The Inclusiveness Project can help. Courses are part-time therefore should not affect any benefits received – but check with your Job Centre Advisor before applying. All courses are delivered by South Lanarkshire College lecturers and include SQA accredited units plus work experience placements to help you get the experience and references you need. 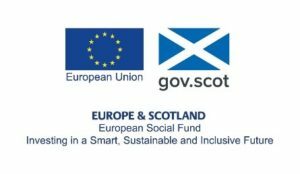 All courses are focused on helping you get back into work, so in addition to delivering recognised qualifications, The Inclusiveness Project has an experienced employability team based in South Lanarkshire College who deliver group employability sessions and one-to-one support. • Modern job searching skills: online job searching, set up an email address, download and complete online application forms. The Team follow-up with all students after the end of a course to track progress into employment, education or training. • £50 bonus when you progress into work! The Inclusiveness Project helps employers and job seekers come together. • Could you use a cost-effective additional staff resource? The Inclusiveness Project is looking for work experience placements for students in a range fields. • Thinking of recruiting? We can provide you with well qualified, high calibre candidates. You can trial a potential employee through our placement scheme. • Would you like to raise the profile of your company within the community and demonstrate your corporate social responsibility? Please click on the link to information for employers. The Inclusiveness Project can help!